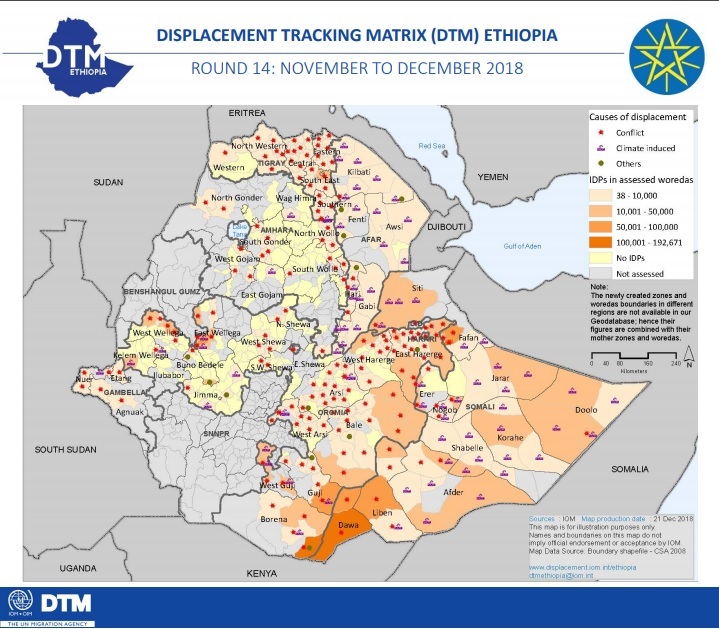 The Mid-Year review exercise was conducted in September and the cluster target was revised to 2.4 million IDPs with an overall requirement of $132.3 million to address Shelter and NFI needs. Shelter/NFI Cluster assisted 31 percent out of 2.4million IDPs across seven Regions. A Cluster Retreat was held on 28th and 29th November to launch preparation of ESNFI contribution to the 2019 HDRP, and a longer-term Shelter Plan for Ethiopia. The SAG is established and endorsed by partner. Ethiopia Country Profile has been published in the month of December 2018.